100 Year Old ECHOage HERO celebrates in support of Cystic Fibrosis Canada. | ECHOage - Get great gifts. Give to charity. ← It’s International Cheetah Day! Proud to Partner With Cheetah Conservation Fund Canada! 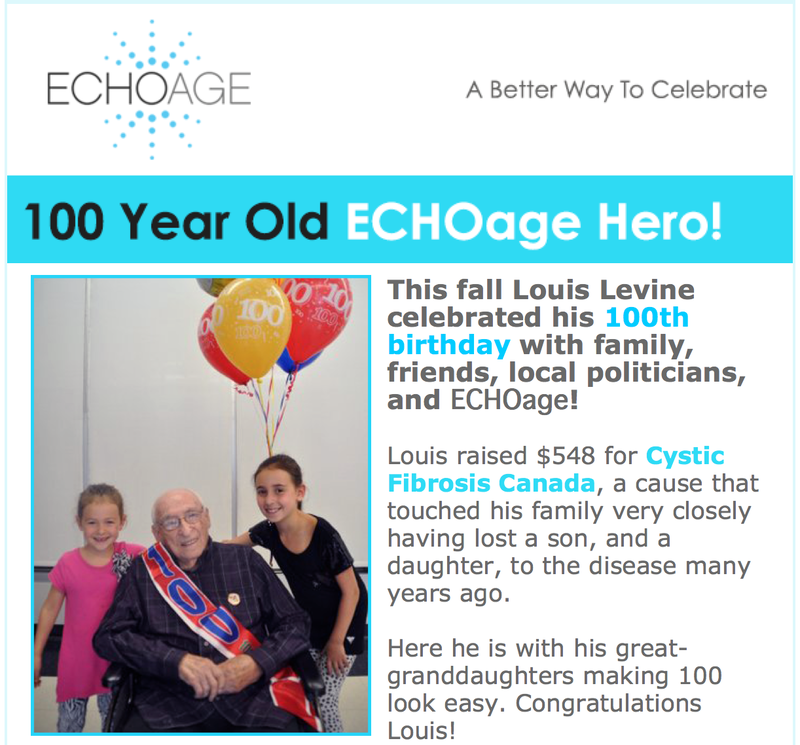 100 Year Old ECHOage HERO celebrates in support of Cystic Fibrosis Canada.